At Carpet To Go, we carry a full line of flooring options to fit all homes. Floors are the hardest-working part of your house, so you want to have a durable flooring that helps your home. In addition, you’ll probably want something aesthetically flattering: beautiful finishes, elegant designs, and smooth surfaces with no signs of scratches. Whether you choose sophisticated tile flooring or rich hardwood, Carpet To Go can help you install and maintain floors in all parts of your house at a competitive price. Contact us at 206.382.1253 or by filling out our online contact form today! Tile floors are some of the most beautiful, low-cost, and durable floors available. They are very easy to care for and have a long lifespan. Tile comes in a variety of shapes, textures, colors, sizes, and patterns, so it appeals to all homeowners. Although it has been used for centuries, recent advancements in tile have made it cheaper to produce and stronger than ever. If you haven’t had a tile floor in a while, be ready for a pleasant surprise. Hardwood is one of the most popular types of flooring because it gives off an elegant, cozy vibe. Wood naturally adds that depth and warmth to a room that other flooring types can’t duplicate. Hardwood floors increase the value of your house with smooth, high-quality finishes available in various tones. If you are considering hardwood for your house’s floor, also remember that it can be used for many other applications around your house to create a theme. Although carpet was once a symbol of royalty, this popular flooring option is now available to homeowners across the country. Carpets provide a posh, comfortable feel that is perfect for the cold weather we experience in the Pacific Northwest. Carpets require a higher investment but can help you reduce utility bills and create a healthy living atmosphere. They work as an extra layer of insulation and trap allergens in their tiny fibers until they are vacuumed up. Carpet is also notoriously durable, so it’s worth the investment in the long run. Because of its durability, vinyl was a popular flooring material for schools and hospitals decades ago, and it’s now making a huge comeback. New technology has enhanced vinyl so it can now provide the same organized, elegant look as hardwood or tile at a fraction of the cost. Not only is vinyl flooring cheaper than hardwood and tile, but it’s also easier to maintain. Hardwoods run the risk of being irreparably stained, and carpets require periodical cleaning. However, vinyl only requires a quick wipe to look as good as new. Laminate floors, also known as wood tile, are synthetic floorings made by fusing multi-layered materials through a laminating process. This allows laminate floors to replicate hardwoods, stone, and ceramic tile. Although they were usually low-quality, new technology has allowed laminate floorings to flourish with beautifully crafted, durable designs. Area rugs are unique flooring pieces and are a great addition that serves many purposes. Their price tag ranges from very expensive to moderate, depending on the material and style you choose. You can place area rugs in a variety of areas, and because they are movable, you can later change their placement. The colors and patterns found in area rugs are unique and give warmth to any room they are featured in. Get New Flooring for Your House Today! 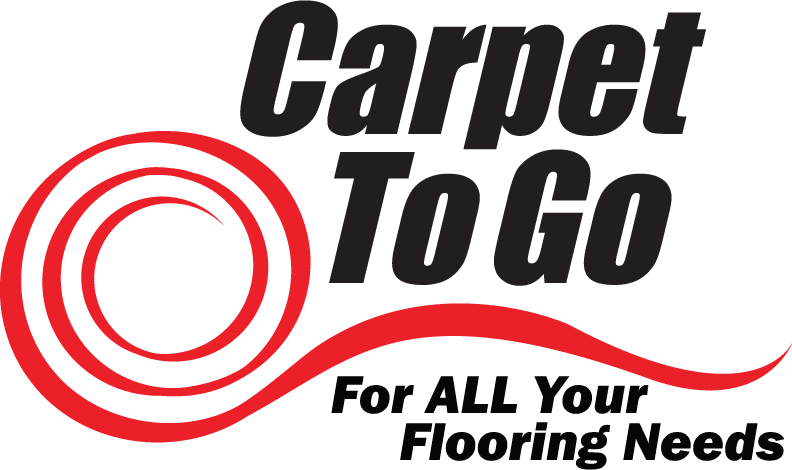 At Carpet To Go, we offer an array of beautiful and unique floors for your home or business. Our team of professional flooring experts can help you choose the right type of floor for you. We can answer any questions about costs, durability, style, or placement, so give us a call today. You can reach us at 206.382.1253 or fill out our online contact form. Get in touch with us today!